Schools from all over Cardiff have pledged their support for George Thomas Hospice’s (GTHC) Onesie Walk through the City Centre on the 25th of April. Pupils and staff from Cardiff High, Rhydypenau Primary, St Cyres, St David’s College, St John’s College and Whitchurch High have all signed up to the event which starts at 11am at the City Hall in Cardiff. Meanwhile Fitzalan High, Willows High, Kings Monkton, Adamsdown Primary, Albany Primary All Saints Church in Wales, Springwood Primary and Lakeside Primary school have been sending out posters and messages on Facebook and Twitter about the event. The schools have been getting involved by producing banners, hosting competitions and promoting the event using social media. Alongside promoting the event, Cardiff High School will hold a competition with prizes for the best onesies. Teachers from St Cyres School will be taking part in the Onesie Walk and their Sixth Form have been busy raising money. Some of the children taking part in the event are from the GTHC’s bereavement support groups which provide help and support for children and young people who have experienced the death of a family member. George Thomas Hospice Care is the major provider of specialist palliative care to those suffering from cancer and other life-threatening illnesses in Cardiff. The charity has to raise over £1.3 million each year to fund its core services and events like the Onesie Walk are extremely important. George Thomas Hospice Care are hoping that hundreds of people will turn up in their onesies and walk around Cardiff City Centre in a colourful and spectacular parade. 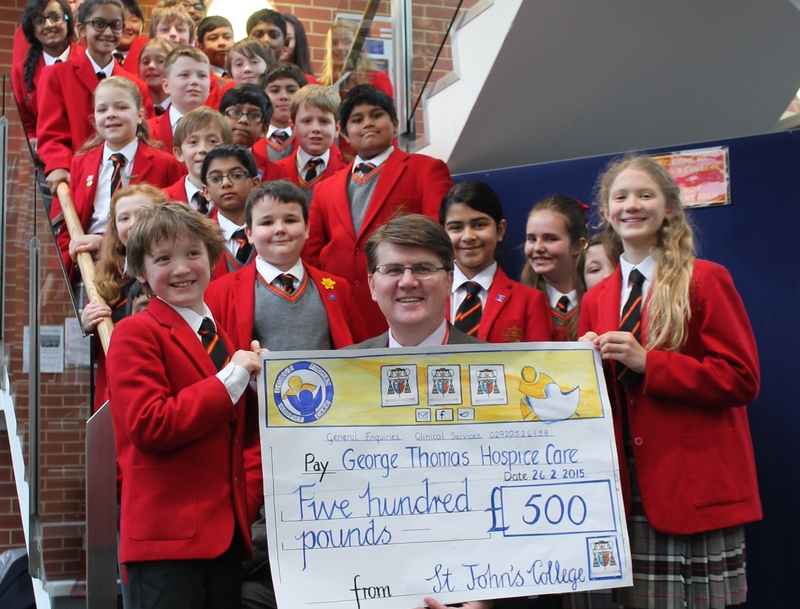 George Thomas Hospice Care is a not-for-profit registered charity which operates in the Cardiff area. We are a local charity providing free of charge care to patients with life-threatening conditions. We aim to improve the quality of their living and dying while extending care and support to their families and loved ones. Our services are free but we need to raise £1.3m to keep our centre open and our nurses on the road. Our team of consultant-led specialists provide care for patients in their own homes 7 days a week. George Thomas Hospice Care’s specialist bereavement support programme is for children and young people who have experienced the death of a family member. We offer pre and post bereavement counselling support to all terminally ill patients and their families that are referred to the hospice. We know from experience that the right support offered at the right time can change the course of their future. There is no other service like ours in the area and we need to expand what we can offer to keep up with demand. Around 30 children come through our support programme every year. In the last year the number of children and adults being referred to us for bereavement support increased by 15%. The fundraising event will take place on Saturday 25th April in Cardiff City Hall at 11am. The route continues through the town centre with all the money raised supporting these vital services. The Onesie Walk is supporting an amazing cause that we are more than happy to help, it really is important to make sure that places like George Thomas Hospice can get as much aid as they possibly can, and its great to hear that local schools are already getting behind the scheme, but it doesn’t mean more of Cardiff can! You never know when or who you might need places like this, and is wearing a onesie really too much to ask for? !